GOVERNMENT spooks want cyborg insects to snoop on their enemies. Biologists want to tap into the nervous systems of insects to understand how they fly. A probe that can be implanted into moths to control their flight could help satisfy both parties. One day, it could even help rehabilitate people who have had strokes. The US Defense Advanced Research Projects Agency (DARPA) has been running a programme to develop machine-insect interfaces for years but electrodes implanted to stimulate the brains or wing muscles of insects were not precise enough. Now Joel Voldman of the Massachusetts Institute of Technology and colleagues have designed a unique, flexible neural probe that can be attached directly to an insect’s ventral nerve cord (VNC), which, along with the brain, makes up the central nervous system in insects. Another reason previous attempts have not been entirely successful was because the impedance of the electrodes did not match that of the insect’s tissue. This probe is made of a polyimide polymer coated with gold and carbon nanotubes, and its impedance is much closer to that of nerve tissue. One end of the probe is a ring that clamps around the VNC. The inside of the ring has five electrodes which stimulate distinct nerve bundles within the VNC. Attached to the probe is a wireless stimulator, which contains a radio receiver, as well as a battery and a device to generate electrical pulses. The team implanted the device in the abdomen of a tobacco hawkmoth (Manduca sexta). 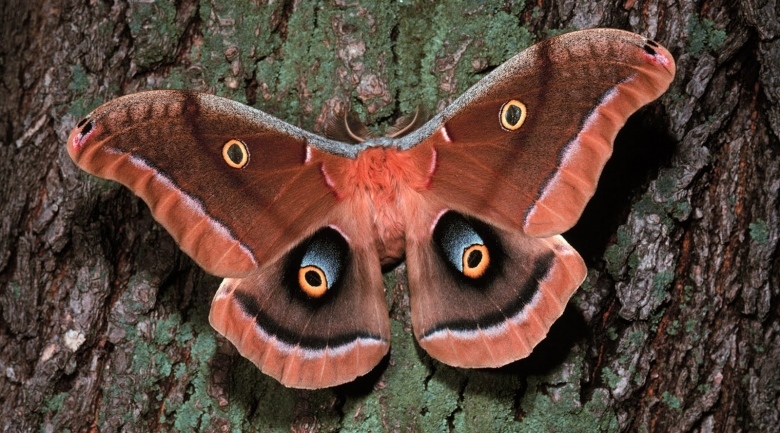 As it weighs less than half a gram, it is easy for the moth to carry. "Their wingspan is the width of your hand," says Voldman. "These are big guys."